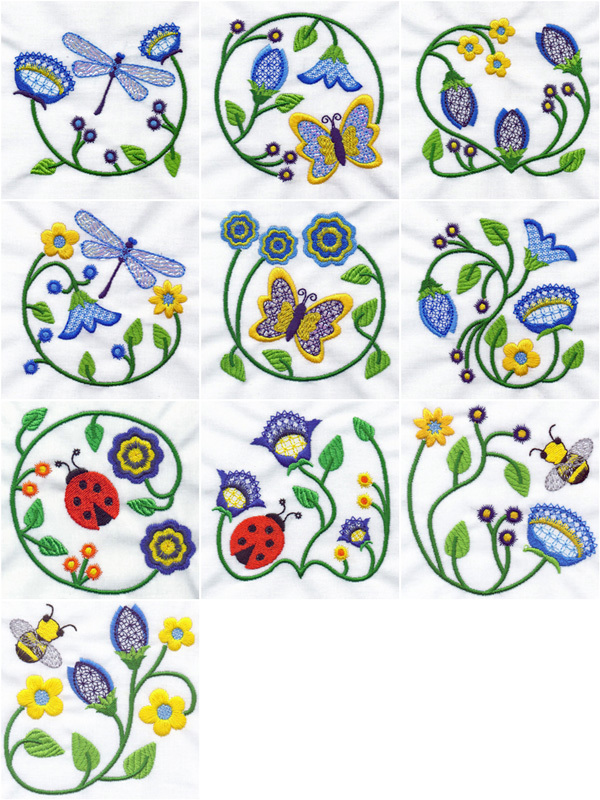 Set includes 10 fanciful bug and flower designs with motif stitching. The dragonflies and butterflies include placement lines for mylar. Instructions and a source link for the Mylar are included. Previously released in the 2012 OPW Silver Threads, Golden Needle Monthly Membership Club. Semi-exclusive artwork from Clipartopolis. For the 4×4 hoop (100mm by 100mm).